Joomag is a platform which allows users to design and publish professional looking publications. It contains hundreds of templates which can be use to create the perfect foundation for your publication. Incorporate videos and music directly from popular platforms like YouTube, Vimeo, and Soundcloud or upload these types of files directly from your computer. Create customized slideshows using your own images or from Getty Images. This platform also incorporates an image editor. 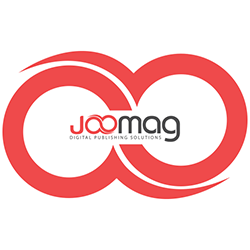 Joomag publications can be embedded on websites and shared easily on social media channels. Instead of a traditional report, students could use Joomag to create an engaging and dynamic product. This would be good when students are creating presentations or writing reports about locations, people, and events. Teachers could use Joomag to share what is happening in their classrooms. Click here and here to see examples of how two school districts use Joomag.